Please use Chrome, Opera, Firefox or any other browser which supports Ogg Theora. First broadcast: March 31, 2019, 3:28 p.m.
Kali Linux is a Debian derivative since 2012, it is maintained by Offensive Security and dedicated to penetration testing. Initially it was based on Debian Stable (Wheezy then Jessie) but since late 2015, it now tracks Debian Testing with its daily changes. There are upsides and downsides to this and I'll try to present those as well as the infrastructure that we have setup to run Kali Linux (repositories, build daemons, jenkins checks, etc.). 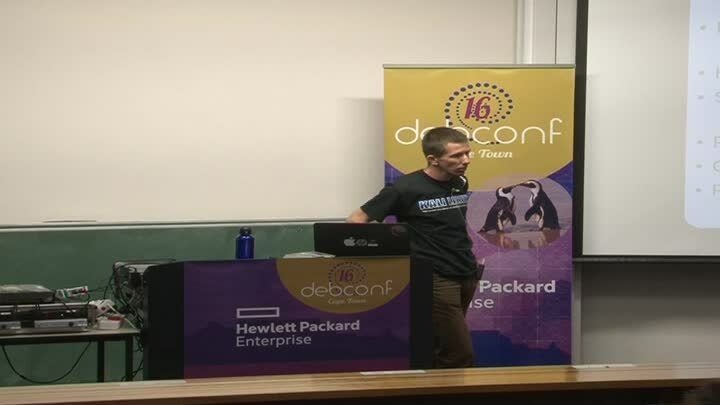 This talk is interesting for other Debian derivatives that want to learn from Kali's experience, but it's also interesting for the Debian community to learn of the problems that derivatives are facing when they try to track Debian Testing.